Hillary Clinton says quarterly capitalism is "bad for business, bad for wages and bad for our economy." Her solution has received a lot of criticism because it would require a complex change to the tax code. But a top U.S. law firm says it has an easier way to combat quarterly capitalism: End quarterly reporting. In the United States, companies like Apple (AAPL), Google (GOOG) and Bank of America (BAC) that have stock that people can trade on the stock exchange must issue reports four times a year. (Private companies like Uber and Donald Trump's company do not have to do these regular financial reports). Wall Street investors and analysts often obsess over these quarterly reports with information on company sales, expenses and profits. The result is that CEOs and other corporate leaders spend too much time focusing on the next few weeks instead of the next few years (or beyond). In a memo this week, Wachtell, Lipton, Rosen & Katz argues the U.S. should consider the United Kingdom's approach. Companies in the U.K. are only required to report twice a year. It's up to the company if they want to do it more frequently than that. "Rigid quarterly reporting requirements can promote an excessively short-term focus by companies, investors and market intermediaries and impose unnecessary regulatory burdens on companies, without providing useful or meaningful information for investors," the British government concluded. The law firm asks the U.S. government to "keep these observations in mind." It would require a major regulatory change. The counterargument is that quarterly reporting helps increase transparency and catch problems at companies faster. 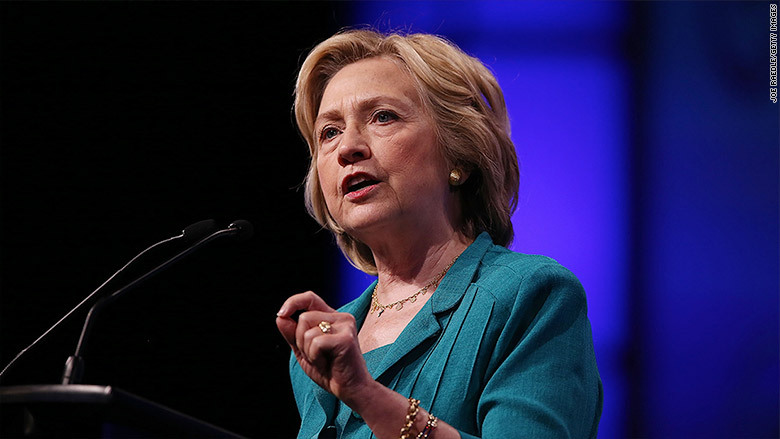 Clinton has a different plan to combat quarterly capitalism: Change the tax code. At the moment, Americans who hold an investment -- such as a stock -- for more than one year qualify for the long-term capital gains tax rate of 15% to 20% (depending upon if you're middle class or upper income). That's much lower than the regular income tax rate. Clinton said last month that the richest investors shouldn't get that lowest rate unless they hold an investment for six or more years. She would put in a stair step of rates that decline for each year that people in the top income tax bracket hold an asset. So there would be a different rate for holding an investment for one year or two years or three years, etc. The idea is that under Clinton's plan, wealthy Americans would be more likely to buy a stock or other assets and hold them for several years. She argues that would make everyone more focused on the long-run, making the quarterly reports less important. "Republicans running for president seem totally unconcerned about the problem of quarterly capitalism," Clinton said last month in her first big economic policy speech. "Most would eliminate capital gains for wealthy investors with no incentives for long-term holdings." Investors and tax experts aren't convinced Clinton's plan would change much. "Hillary's plan is complicated and doesn't serve any purpose," says Edward Kleinbard, a former chief of staff for the Joint Committee on Taxation. He is now a law professor at the University of Southern California.